Hands down, if you are looking for a great color, Raquel Welch has many different options. You simply can’t beat the beautiful highlighted shades she has to offer in so many different styles. 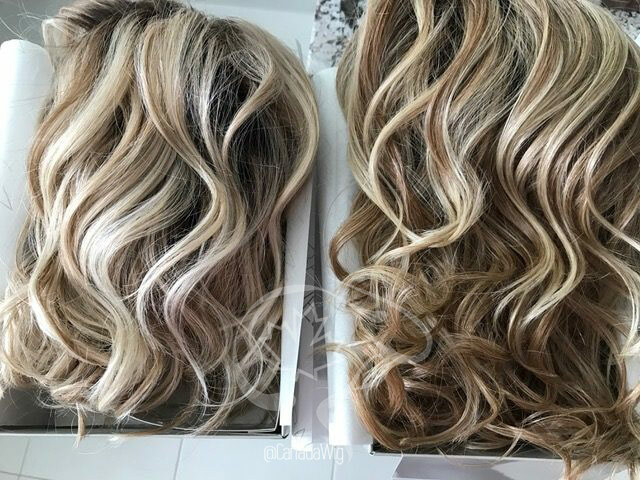 Her heat friendly hair (designated by the term ‘RL’ in the color code) is especially gorgeous and offers the option to use heat styling tools on the hair while you wear it. 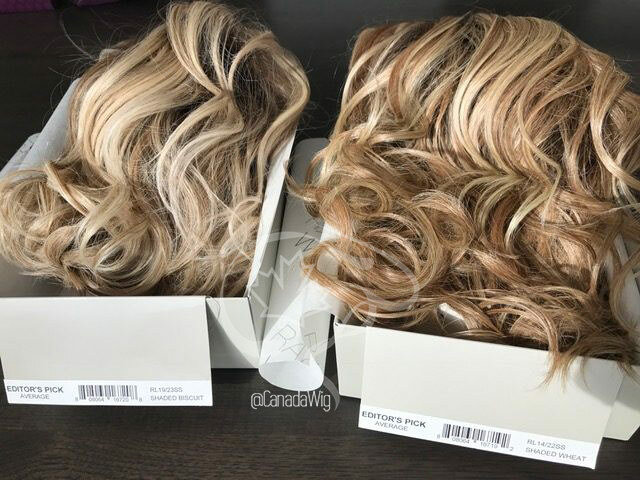 If you are looking for a blonde color, two options you have to choose from are RL19/23SS as well as RL14/22SS. Note that both of these are also available in non-rooted versions, if you prefer that look over the rooted variety. Curious how they compare? Let’s take a closer look at these gorgeous blondes. 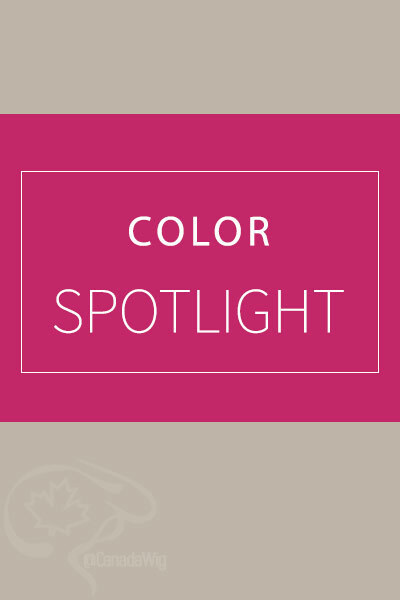 This color is described as being a pale ash blond with subtle golden blonde highlights and a medium brown root. 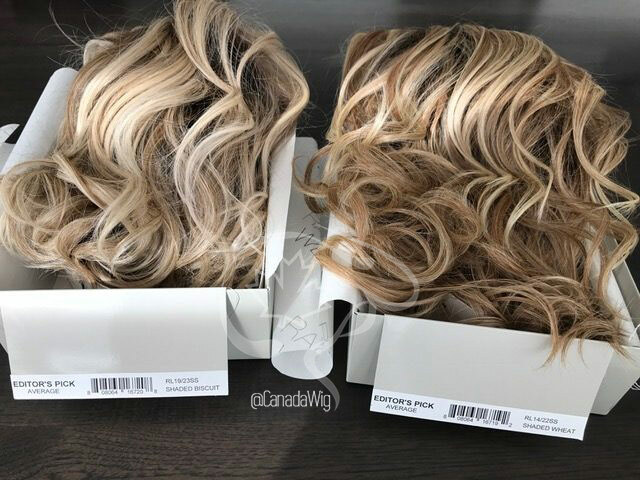 When looking at the color in person, you’ll see that it is quite blonde and the root color is quite dramatically different than the hair color. 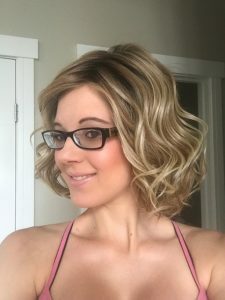 If you want to really capture the look of a light blonde, this is a great color for you. It’ll quickly brighten up any complexion. 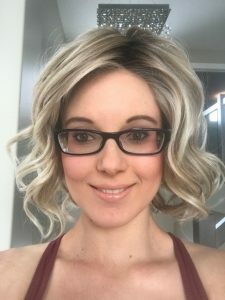 Here are two pictures of this color taken in daylight, shown on the Editor’s Pick wig. —- > Click here to learn more about Editor’s Pick and see all the colors it comes in. The second blonde you may consider is RL14/22SS, which is a warm golden blonde blend of colors. Here the color is noticeably warmer however you can still see the gorgeous highlights running through the hair. These highlights are emphasized further by the addition of the lovely waves Editor’s Pick brings. Want to see these colors side by side? Below are some images in different lighting schemes. First is daylight lighting, bathroom lighting, and last is more direct natural sunlight lighting. Biscuit is on the left-hand side in the photos, while Pale Gold Wheat is on the right. As you can see, both are terrific options and will work for many skin tones and types. Choose Biscuit if you prefer a lighter ashier blonde and Shaded Wheat if you want something warmer with a root that doesn’t come across as quite so dark. © 2017 Canadawigs.ca - All Rights Reserved.